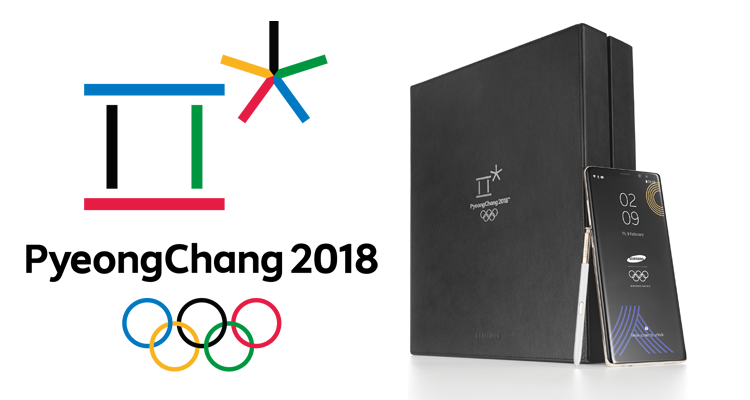 Samsung has announced that they will be releasing a limited edition of the Samsung Galaxy Note8 for the upcoming PyeongChang 2018 Olympic Games. The phone will also include the bold new features of the Galaxy Note8, such as the innovative bezel-less 6.3-inch Infinity Display that fits comfortably in one hand, enhanced S Pen for efficient productivity, and Samsung’s best-in-class Dual Camera. 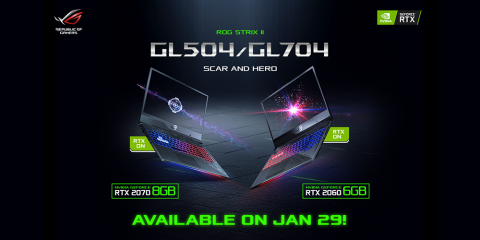 Exclusively for the Games, the PyeongChang 2018 Olympic Games Limited Edition will showcase a shiny white back glass to celebrate the winter theme, and gold Olympic rings – inspired by the Olympic Torch – an expression of the Olympic Movement with the union of five continents, and unity worldwide. 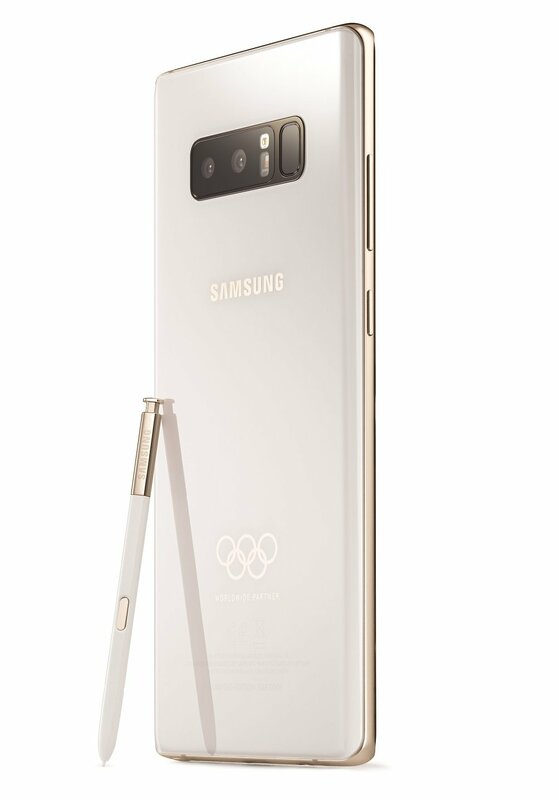 Samsung will deliver over 4,000 devices to all Olympians as well as the PyeongChang 2018 Olympic family, including IOC and POCOG staff allowing them to lean on Samsung mobile technology to enhance their experiences and connect more conveniently. Samsung is also providing smartphones to show their commitment to the Paralympic Movement, Samsung will provide smartphones to all Paralympians at the Paralympic Winter Games PyeongChang 2018. 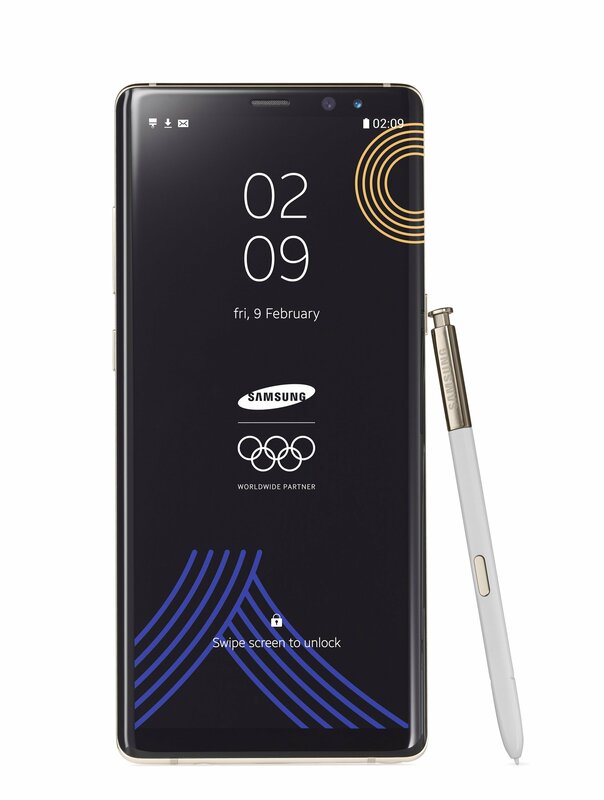 Each Paralympian will receive the Galaxy Note8 along with cases that feature the Paralympic Games logo and be exposed to how breakthrough mobile technologies can help make the digital world more accessible for those with disabilities. Samsung has been a World Paralympic Partner since the Olympic Winter Games Vancouver 2010 and an advocate for the Paralympic Movement striving to inspire the spirit of progress and the human challenge ever since.